Patron Security Ltd can design, install, commission, maintain, certificate and repair domestic/commercial fire alarm systems throughout Kent and the South East. All fire alarm systems installed and maintained by Patron Security Ltd comply with all the British Standards which are relevant to the property. We can offer a full range of fire alarm systems from simple conventional panels to highly sophisticated addressable and radio controlled systems. Radio or Wireless controlled systems can be installed where surface cabling is not acceptable i.e. historic houses or churches. We only use industry standard components and open protocol systems that can be worked on by any competent contractor, all systems installed remain the property of the customer. 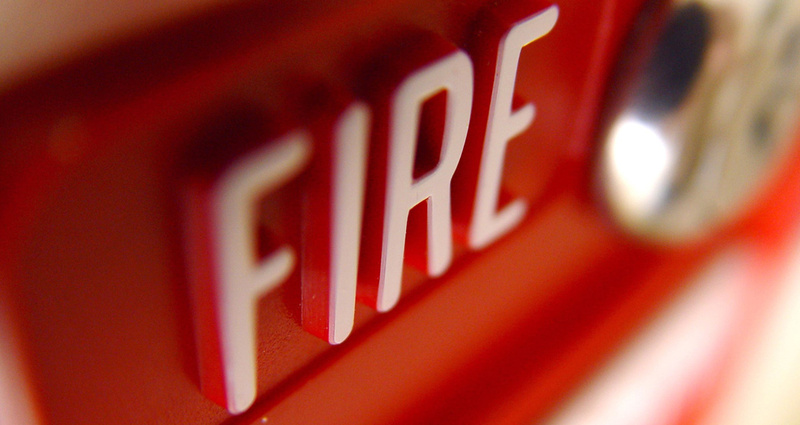 A survey of your property or existing fire alarm system can be carried out with a detailed quotation free of charge. All maintenance customers are entitled to our 24 hour 365 days a year emergency call out service within 4 hours of receiving the initial call. We are delighted to be able to offer our services to customers in the South East London, Surrey, Sussex and Kent this includes but is not limited to: Ashford, Brighton and Hove, Broadstairs, Canterbury, Crawley, Dartford, Dover, Farnham, Hastings, Maidstone, Reigate, Sevenoaks, South East London and the surrounding towns and villages, Tonbridge, Woking. Patron Security Limited are pleased to be able to offer a quick and simple way of purchasing your new security equipment, through our preferred leasing partner, Focus Leasing. Established in 1994, Focus can offer you a finance solution to suit your needs for any equipment for £1000.00 plus VAT or more. They cover the whole of the UK and have facilities to suit all of our customers, from start-up ventures to PLCs. Improve Cashflow – Your new security equipment can be delivered and operational without the need for capital expenditure. Have what you need today with no cash outlay. Retain Credit Lines – Keep existing banking arrangements, credit lines and cash free for uses that are more appropriate. Our finance facilities cannot be withdrawn like overdraft facilities. Use cash and bank funding for working capital to maintain a healthy business. Simplify Budgeting – Payments are fixed throughout the term of the agreement enabling accurate and simple budgeting and forecasting. Bank facilities are generally related to interest rates, which is fine when they are low but can cripple cash flow when they increase. Cecil Court Management Co., Ashford. Call us today on 01233 334135 or email us.